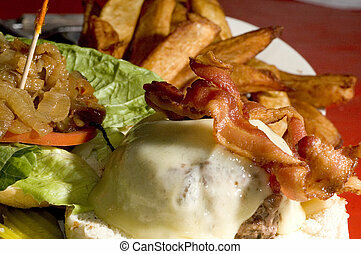 Bacon cheeseburger. 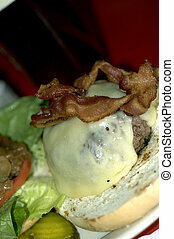 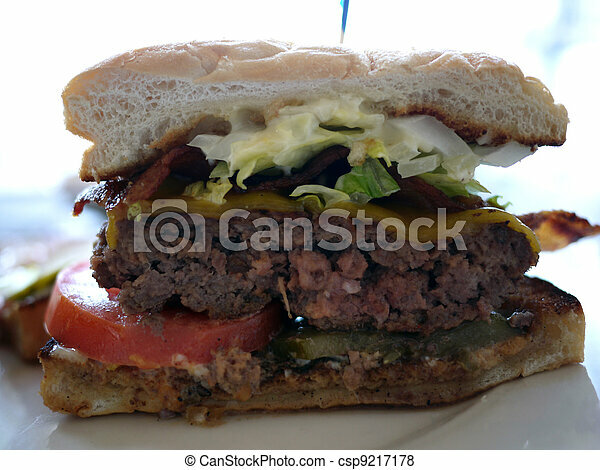 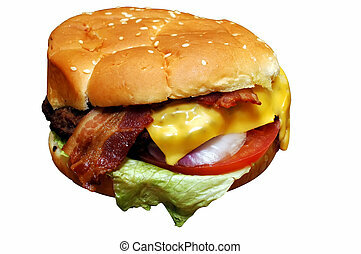 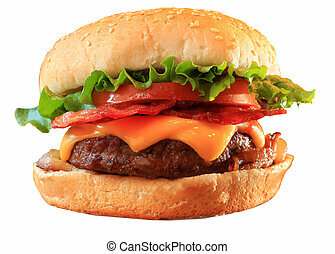 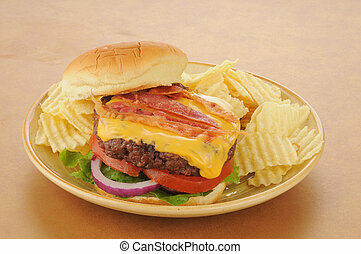 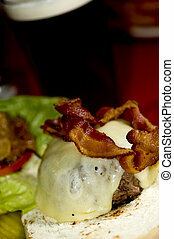 Cheeseburger with cheese, bacon, lettuce, tomato, and mayo. 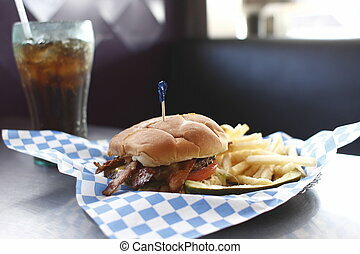 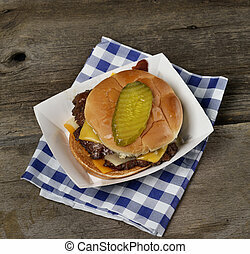 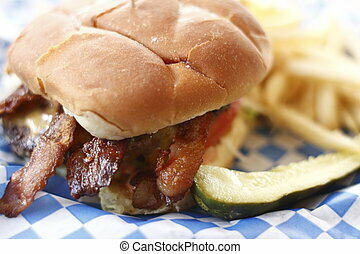 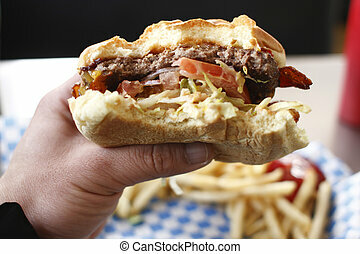 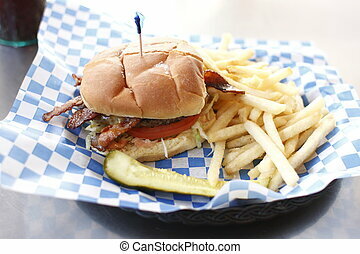 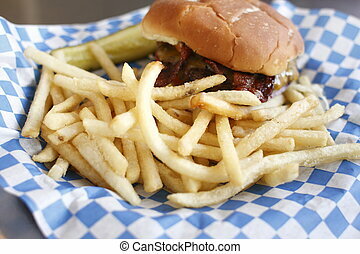 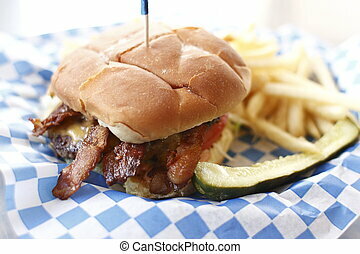 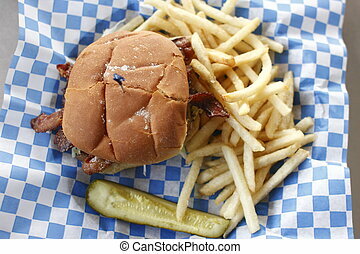 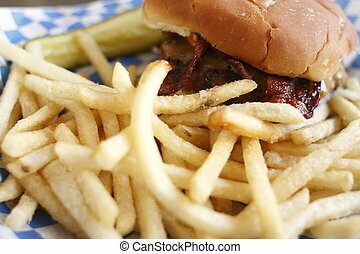 Eating a bacon cheeseburger with a side of french fries.